Home » Beauty » Which juice is good to have daily to get best and fair skin? The juices we make at home are a source of vitamins and minerals that greatly benefit our health, and if we know which ones to choose, they can also provide us with cosmetic qualities, such as helping to improve the appearance of our skin. In this article we explain what fruits and vegetables you should choose to prepare your natural smoothies , as well as some tips to make them even more beneficial. In a few weeks you will notice that your skin looks healthy, firm and nourished. The carrot is the star vegetable for the beauty of our skin. 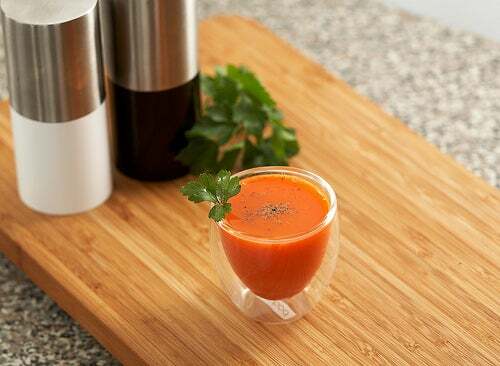 Rich in beta carotene, it helps protect our skin and get a nice tan . It also prevents the appearance of wrinkles, caused by free radicals , and helps the regeneration of new skin cells. Its sweet flavor combines lightly with all kinds of fruits and vegetables. The apple is the fruit that we place in first situation, thanks to its apparent neutrality and nevertheless very beneficial for our health. Formerly the skin was smeared on the face to keep it firm. 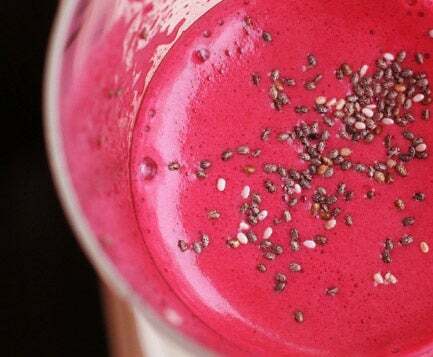 Its combination with the carrot is one of the most beneficial and delicious. The apple contains malic acid and tartaric acid, and both help the natural elimination of dead skin cells, promoting their regeneration. The strawberry protects the natural collagen of the skin, maintaining its firmness , and also decreases the appearance of wrinkles, stretch marks or flaccidity. It also helps us protect it from free radicals. The great cleansing of the blood helps us to eliminate toxins from our body that would otherwise come out in the form of impurities, acne, boils, etc. It is also a great toner and protector of the skin. Cucumber is ideal for tired, dull or aging skin , as it has the property of repairing, nourishing and providing vitality thanks to its excellent nutritional values ​​and its high water content. Parsley is undervalued in many cultures and is reserved for flavoring some dishes, while in other cultures it stands out for its great nutritional values, among which its content in vitamin A and C, iron and phosphorus stand out . It is ideal to keep our skin young and nourished, and it is also widely used topically as a remedy for the spots that appear on the face. 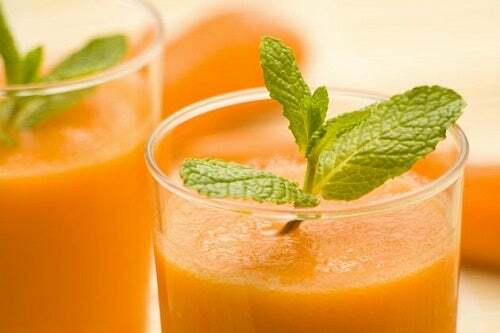 The ideal is to prepare them with the blender, but if we do not have themwe can also make them as smoothies . In this way we may not consume as much fruit and vegetables but instead we will receive a greater amount of fiber, ideal for people suffering from constipation, unbalanced levels of glucose or overweight. When do we take them? The best time is early in the morning, fasting , about 15 or 20 minutes before breakfast, but we can also take them during the morning or a while before lunch. If they are of vegetables we can also take them in the afternoon or evening, since these do not contain the sugars of the fruits and also have a more relaxing function of our organism. With these fruits and vegetables we can try different combinations and even add others that we prefer for their flavor, or according to the season. We will try to always choose the ones that are of ecological quality, and this way we will be able to consume even their skin, which is very nutritious as long as it is free of pesticides. Brewer’s yeast: essential for the beauty of our skin, hair and nails, and also has very beneficial effects on the nervous system. Vegetable oils of first cold pressure : they are rich in essential fatty acids and liposoluble vitamins, and they help us to provide hydration to our skin. In addition, together with fruits and vegetables are much better assimilated by our body. We recommend the linen, the sesame, the olive and the evening primrose. Maca: especially recommended for women from 40 years, this root has many beneficial as a hormonal regulator, aphrodisiac and as a remedy for menopause symptoms, but also brings a rejuvenated and radiant look to our skin. Previous Post How I can improve my skin fairness in a short period? Next Post Why do fair skin people get wrinkles easily?